The scars on your skin often look ugly and sometimes are indeed embarrassing. You can get scars on your skin due to any reasons like wounds, injury, skin inflammation or a surgery. The scars remain for a long time and keep haunting you. The process of scarring consists of 3 phases. If you take proper care of the wound then healing of the scar tissue will be done properly. 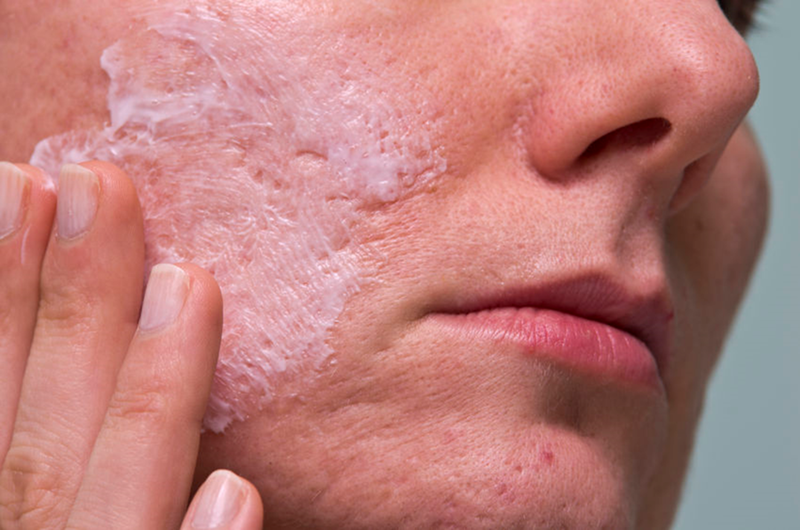 Many cosmetics cream claims to treat the scar efficiently but fails to provide desired results. Thus, now you should try a natural cream which will help you to get rid of the scars. Here is the recipe for homemade cream which vanishes the scar in just 2 weeks. Melt the cocoa butter in the microwave by heating it for 10 seconds. Add ¼ cup of olive oil and 1 tbsp of honey to it. Mix it well and add 3-4 drops of lavender oil to the mixture. Let the mixture cool down to room temperature and then keep it in the freezer for 20 minutes. Your creamy paste is ready to use. Store it in the airtight glass jar and use it to remove the scars. Apply the cream on the scars twice in a day (morning and evening). The cream smells very nice and the ingredients provide nourishment to your skin. The scars will vanish in just 2 weeks. Share the recipe with your friends and family to get rid of scar quickly in a natural way. Have a scar free healthy skin in no time!